Questions about Kichler Lighting 3728TZ? This piece from the Willowmore collection is inspired by a small trading village located in the Eastern Cape of South Africa. 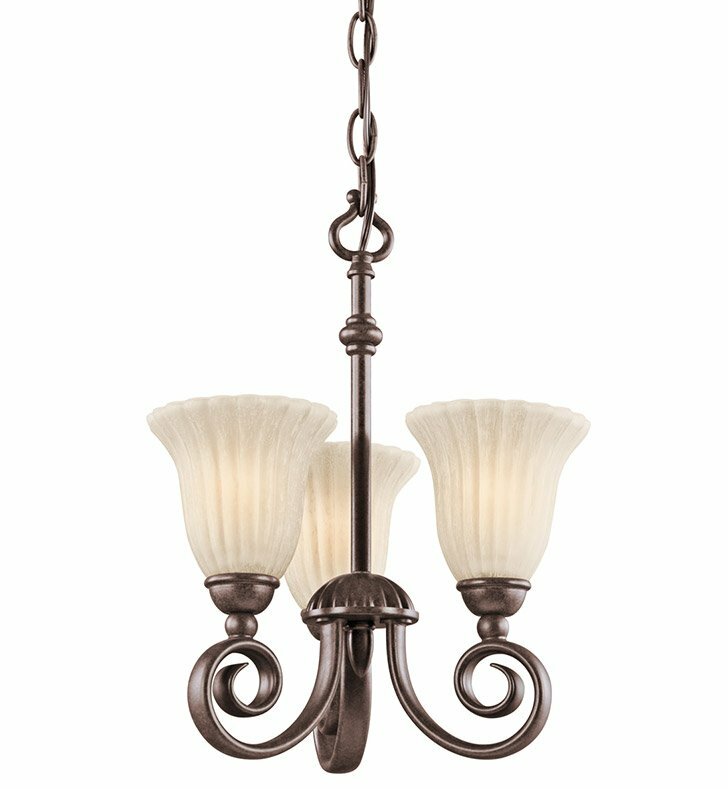 Much like that community, this beautiful 3 light chandelier or semi flush light fixture, with its inviting earth tones is a comfortable and vivid sight to behold. The rich luster of the Tannery Bronze finish and Distressed Umber Etched Glass will add a distinct ambiance to your home. Dimensions: H 14 1/2" x W 11 1/4"